A second group of ex-civil servants has written to President Ram Nath Kovind to ‘counter’ the first group’s allegation last week that the EC was ‘weak-kneed’. New Delhi: A war of words has broken out between two groups of former civil servants over the controversial biopic on Prime Minister Narendra Modi, a final call on which is yet to be taken by the Election Commission. 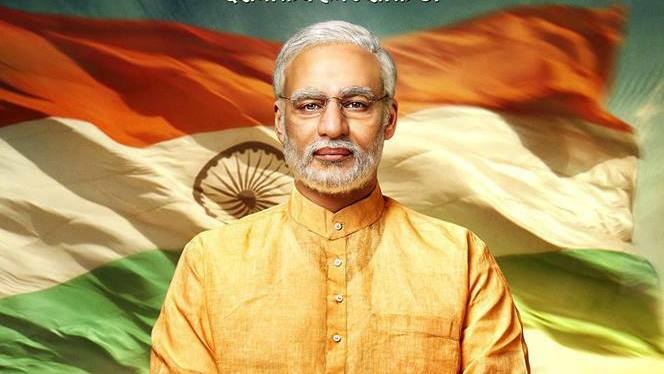 An EC team watched the Modi biopic, PM Narendra Modi, Wednesday afternoon at the Films Division-owned Mahadev Road theatre in the capital, on the directions of the Supreme Court. The team is expected to give its verdict on whether the film can be released during the Lok Sabha elections. The battle between the two groups of former officials came to the fore after both wrote to President Ram Nath Kovind, one calling the poll watchdog “weak-kneed” and the other coming out in support of its credibility. The first group had written to the President on 8 April, raising concerns over the “independence, fairness, impartiality and efficiency” of the EC. The second group wrote to the President on 16 April, stating that the EC is being discredited by the first group. Former IPS officer R.S. Gupta, who led the second group, told ThePrint that “pressure tactics” exercised by the first group would have led the EC to ban the Modi biopic during the election period without even watching it. He insisted that the poll watchdog is free from any kind of influence and is a credible body. Gupta, a former Delhi Police commissioner, is currently associated with several organisations, including Samkalp, a civil services coaching institute supported by the RSS. The second group’s letter also defended NaMo TV, saying it doesn’t require a licence, as well as a 10-part web series on Modi. Another member of this group, Chandra Wadhwa, former president of the Institute of Cost and Works Accountants of India and a trustee of the think-tank India Foundation, said its letter to President Kovind was purely to counter what first group of former bureaucrats had said, and not to influence the EC. “The letter written by these 66 bureaucrats was in the language of the opposition. Our letter was to counter that. How can you dictate terms to the EC on EVMs and on which officials to transfer?” Wadhwa said. Talking about the Modi biopic, Sircar said the first group’s letter had at least brought the matter into public discourse. Sircar also alleged that there is “always a user-friendly section” among civil servants who has “given us a bad name”. “It is the same group which genuflects after retirement for petty gains and rewards from government post-retirement,” he said. The ECI is one of our most trusted, valued public institutions, just a notch or two below the apex court. Transient moments of stress will pass. One hopes both sides – as represented by these two sets of retired civil servants – will observe restraint, not contribute to the undermining of its credibility.